I am a self taught songwriter and producer originally from Shropshire and my music takes influence from a range of genres including artists such as Nas, The Fugees, James Blake, Chet Faker, Erykah Badu and Frank Ocean. I Produced my first EP in my bedroom studio at home. I spent a few years developing my craft until I finally felt comfortable with my sound. I am currently at university studying a science degree in Music Technology. I began playing my first instrument (the guitar) when I was 16 years old and found my love for production around a year later. In terms of singing, I had no vocal training and was inexperienced but I believe my voice has developed as I’ve matured. Initially it was more of a hobby but I soon realised my passion for writing and creating music so I made a decision to dedicate myself to it. I decided to study music technology at college to help better my understanding of the music industry itself. Your DEBUT EP is out ‘Persistence’ what is the meaning behind the name? I had a lot of times where I doubted myself when I initially started coming up with the idea of even making an EP, so from day one I promised myself to remain consistent and work hard to achieve what I wanted; therefore, I thought ‘persistence’ was an accurate name to display the time and effort gone into the EP as I’d written and produced every song on the EP as well as painting the artwork myself. On top of this I knew that the music industry would be tough and the only way to strive in the current industry would be by working hard and being persistent. I got lead on by a girl I really liked once and she lead me in to a false sense of emotions. The song is basically me reflecting back on it realising that she wasn’t right for me and she was too immature at the time. As I do with other personal songs I tried hiding the true emotion of it by using metaphors. I tried to create a fairly happy vibed out song using bad connotations. when writing this I was just finishing college, I’d found out that I had been accepted in to university and wanted to write a feel good song to reflect and talk about how life as it going. I also touched on how although I’m not rich, I still felt wealthy as I had everything I needed to be happy. Summing the song up I’d say simply that it’s a feel good track about me being excited for the future. I wrote it trying to put across the argument on how the mainstream media and big corporations have tried to condition people in to consumerism and the idea that happiness comes from material items. As well as this i wanted to touch on the idea of how this has sprouted from human ego being out of control within particular people, creating an unfair hierarchy that cleverly hides oppression within lower class people. I basically say how i can see past this and that I’m fed up of it. I’d been through a break up a few years before writing this track but I still hadn’t fully gotten over it. I’d had a period where I was going through a low point and needed to overcome some issues and figured writing this track would help to reflect on everything that had happened and from this, move past it. Saying this, I didn’t want everyone knowing specifically what had happened so I wrote it metaphorically to ensure that I could still filter what I needed to say without others knowing the true meaning behind the song. I feel I still managed to get across the emotion and meaning of the song. From when I first started writing the first song, which was actually Marigold I’d say it took around 6 months to complete. This was mainly because I had gaps where I was more focused on college work so didn’t manage to spend much time writing and producing but during the last 6 to 8 weeks of this period I spent pretty much all of my time working on the tracks and getting them all polished. I actually lost the original file for Marigold so had to start from scratch… I’d never been so annoyed in my life as I’d spent a lot of time on it but admittedly it came out sounding way better the second time round so in a way I’m kind of happy it happened. You Produce and Write you own tracks, is it difficult doing both or easier would you say? I’d say it can be Easier on the basis that you can get all of your creative ideas across more easily without having to confer it with other people as it’s all coming from you. This means you get a good representation of what you want and how you envisioned in your mind. However, it’s a lot more time consuming and can create some self doubt without having someone else to confer with about how it’s sounding. Saying this, I do believe that when working with other people, especially with writing, it can be beneficial as you can bounce off each others ideas and encourage each other. It can also help if you’re experiencing writers block as they could come up with something that causes a spark that you necessarily wouldn’t have been able to create on your own. I’d say it’s been around 3 years now since I got my first DAW but I’ve only taken producing more seriously during last 18 months. I haven’t really put too much thought in to it as of yet. I’m just taking things one step at a time. I’m currently working on a second EP and this will be my next project so yeah, for now it’s not on the cards. But yeah, I definitely want to produce a full album when the time is right. I play guitar and some keys and am self taught in both. Chet Faker, The Fugees, J Dilla, Ed Sheeran, James Blake, Jack Garratt, Frank Ocean, Kaytranada, J Louis, Erykah Badu. It’s very early days to mention anything about a tour, but it would be a dream of mine to achieve being able to say that I’d be traveling around the country touring and playing my own music for people. However, I do have some low-key small gigs planned out for early summer just to familiarise myself with performing and building on my stage presence and performance style etc. Locations aren’t confirmed yet but they will most probably be scattered around the UK. It always depends, but it can be from a personal experience that I use to portray my emotions in to music. It can start from a view or belief I have about something in the world that I want others to hear. Or it can even just something that randomly comes in to my head at the time, a thought or just an emotion. I think its too early to say and I don’t like to get too ahead of myself but I think if I just stick to making music and stick to what I know and love then it will hopefully take me on the path that I’m supposed to be going on. 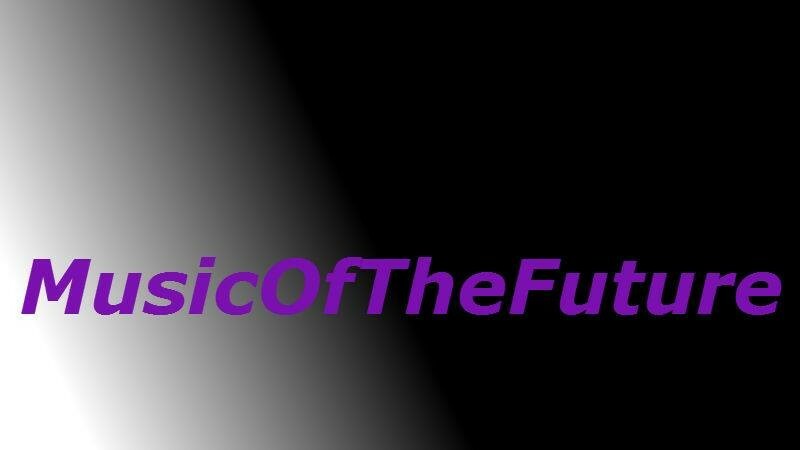 My long term goal however is definitely to be able to have a career in music, be respected for it and able to support my family and along the way hopefully be able to help others to get through certain obstacles they have through listening to and relating to my music. I’m currently studying music tech at university and it is very theory based so a lot of my time is focused on achieving my degree. But other than this I go to a lot of gigs with my girlfriend, play some basketball if I get the time and just generally socialise with friends I guess. As I’ve just started with my music career and its extremely early days, currently my only official live performance I’ve done as Miller Blue was a live session for BBC Introducing Shropshire. Although it was quite daunting knowing my first performance was live on air, I loved every every second of it and can’t wait for more performances in the future. I can’t say a particular song however, Ed Sheerans’ first ever album ‘+’ inspired me so a lot and drove me to wanting to write and perform music myself. Someone once told me that no matter how frustrating and agitated I become when pursuing my music, always persevere with it because in the end what you love doing and are most passionate about is what will make you the happiest. Have long and short term goals you want to achieve, remain focused and channelled in what you’re doing and make sure the music comes first and for anyone who doubts you, prove them wrong because everyone has to start somewhere. When you care at a gig, what are 5 things you cannot forget? This entry was posted in Interview, music, Uncategorized and tagged ABOUT, ADVICE, CHILDISH GAMBINO, dreams, DUB, Ep, facebook, influences, instagram, Interview, JAMES BLAKE, JAZZ, MADDISON SQUARE GARDEN, miller bl, Music, PARKLIFW, REGG, RNB, SINGLES, social media, soundcloud, TECH HOUSE, TOURS, twitter, WIRELESS. Bookmark the permalink. The Manchester 8 Piece have done it again with a upbeat and dance along track. Starting with slow beat to introduce the song giving you that feeling to guess whats coming next but you are in complete shock when the drum and vocals come in you just instantly start dancing to the beat! Well shaped melodies throughout this whole track and the clash of Marks vocals which are smokey and enjoyable to listen to also we hear Sarah’s high vocals which are very honeyed. Overall this is a song that just makes you want to go out and dance the night away and maybe even more. This entry was posted in Review, SINGLE, Uncategorized and tagged MANCESTER, Review, The Moods. Bookmark the permalink. REVIEW: LIVERPOOL ROCK FOUR PIECE ‘CABEZUDOS’ RELEASE DEBUT EP ‘SHE WAITS’ HERE’S WHAT I THINK! and Harry Strachan and have a Rock genre. ‘ She Waits’ starts off with the title of the EP , Straight away upbeat and melodious throughout which is always a good sign and makes you want to see how the EP ends. Vocals are so warm and appealing which makes it clear to hear the lyrics being sang clearly. Next up we have ‘Foolish’ this starts slower showing a different side of the four piece but is still Jacks appealing vocals come straight in. The lyrics are very heart-warming and original which you hear throughout this song. Huge drum and guitar ending at about ‘3:24’ which you didn’t expect at all so imaginative and creative. Track 3 ‘ Ive Never Seen’ a great song with a which has a strong melody. The vocals are powerful and confident which accompanies the instrumental perfectly. You will just be carried along this whole track and singing along after the first listen. Last but least my favourite ‘ Could You Be Wrong’ With the atmospheric intro, you really sink in to the song and makes you really listen to what is being said and realize you maybe able to relate to them. Lyrics are so meaningful and you can hear through the vocals that its personal to them and hurt. The vocal and instrumental performance just perfect with their distinctive vocals and a variety of instruments giving the track their own feel just finalizes this whole EP incredibly. This is a band that have only been around for just under a year, I cant wait to see what the future holds for them! This entry was posted in Review, SINGLE, Uncategorized and tagged 4 TRACKS, CABEZUDOS, Ep, FOUR PIECE, Liverpool, Review, Rock, SHE WAITS. Bookmark the permalink. REVIEW:MILLER BLUE IS GETTING READY FOR THE RELEASE OF ‘COLD HANDS AT THE END OF MARCH, CHECK OUT WHAT I THINK! Miller Blue a 19 year old full of passion, singing, writing and that isn’t all because he also produced the track. Having many genres which include Alternative RNB,Electronica, Hip Hop and Soul and you can definitely hear in the track. ‘Cold Hands’ starts off with a slow guitar intro for around 20 seconds giving you a sense of the whats to come next and just carries you along. His Vocals are very fruity but gruff at the same time which gives the track that pleasant sound when you listen to it. The melody is very well shaped and original and you will straight away just go with the beat as soon as you listen. FOLLOW MILLER BLUE FOR UPDATES! This entry was posted in music, Review, Uncategorized and tagged alternative rnb, cold hands, electonia, facebook, hip hop, MILLER BLUE, New Music, producer, singer, SINGLE, songwriter, SOUL, soundcloud, twitter. Bookmark the permalink. My full name is actually Jessica Wegley but I still perform under my maiden name Jessica Saenz. I have a lot of roots in jazz/soul but I’ve really started to branch into the pop scene recently. I’m working on an EP right now that will have some electro-pop influences, which is definitely different than what I’ve done in the past. I’m a singer/songwriter and worship leader just outside Pittsburgh, Pennsylvania. In 2014, I released a live album called “Live at the Keynote Cafe” that is on iTunes and is a collection of jazz/pop songs that I’ve written myself. I strive to promote self-awareness and love through my music and have had some amazing opportunities in my career like writing with songwriters in Nashville and getting the golden ticket on the X-Factor in New York. As I mentioned, I’m currently working on an EP that is scheduled to release this summer and is much more pop than my other music. Lot’s of changes coming this year and I’m excited to be on this journey! I started playing piano and singing around 12 years old and I’ve been performing since I was 13, but I’ve been doing music as a full time job since I was 19. Loving every minute of it! I feel like it’s always been in me and I don’t know that I have had to make the choice to do music so much as it chose me. My parents bought me a keyboard for Christmas when I was 11 or 12 and I taught myself to play by ear and started writing around that time. It eventually just got to the point where I couldn’t help but create music ALL the time, and I haven’t stopped since! Not at the moment. I’ve been approached by a label before but the longer I’ve been doing music, the more I’ve really become passionate about going the indie route and doing as much as I can without a label. The industry has really changed over the past 5-10 years and it’s becoming easier and easier to have a solo career without the help of a major label. I found you on YOUNOW, what’s was your reaction to it all? I actually just started broadcasting about a month ago and it has been an incredible experience so far! I feel like I’ve finally found my niche with the community there. I’m very much a people person and it’s really a neat opportunity to let fans in on my day to day life as a musician. What’s been the best about starting a YOUNOW channel? Would you recommend it to others? I would HIGHLY recommend it to others, especially other aspiring artists. The best part of broadcasting on YouNow is that people can truly be invested in every aspect of my music career. They can see me live when I’m in the studio, when I’m writing, when I’m headed to a show, etc. It’s truly amazing to allow fans to be on this journey with me. How many times a day do you broadcast and what times because I know a lot of people would love to know? I’ve found that mornings really work the best for me, so I usually broadcast at 9am EST Wednesday through Friday. I’ve been broadcasting at other times as well, if I have some free time or want to broadcast a gig but I always try to post when I’ll be broadcasting so make sure you fan me on YouNow to get my notifications! I’m hopeful that I’ll get to broadcast more in the future too, especially if I get a Partnership with them. I mainly play keyboard and sing. I know a little bit on guitar and I used to play the flute in high school but I usually try to stick to keys and vocals! Alicia Keys was one of my biggest influences when I first started playing piano. A lot of old school jazz/soul artists like Billie Holiday, Aretha Franklin, Frank Sinatra, and Ella Fitzgerald have influenced me in the past but as I’m moving more into the pop scene Amy Winehouse and Sia have really been an inspiration to me. Will we see an album, if so can you say when? Yes!! This summer I’ll be releasing an EP and I have plans to release a full length album sometime next year. I’m actually doing the recording and producing myself (I’ve been live streaming from the studio so you can check it out!) and I’m working with a great local talent, Daniel Blake, to mix and master the album. It’s totally different than what I’ve done in the past and I’m really looking forward to this new phase in my career. Absolutely! Live performance has always been my forte so I plan on doing some touring after and leading up to the release of my EP. I’ll be posting all my shows on my website if you ever want to check it out! If you are, where are you heading? I’m actually still working out the details yet but it will likely be East Coast with the release of this EP. Writing has always been an outlet for me, so I think when I started writing it was just a way for me to express myself in whatever I was going through at the time. Nowadays I’m a little more intentional about my songwriting so I still do it as a form of self expression but I’m also mindful of the fact that I’m writing music with the intent for it to be listened to and appreciated by others. I write as a way to communicate my faith to people or to communicate the things that I’m passionate about, and my passion for those things is usually where I draw from for that inspiration. That’s a good question…I’ve always been one to shoot for the stars! I hope in 5 years that I can be touring more often, writing more, and maybe branching into modeling, acting, or motivational speaking. I think as long as I’m able to create art and inspire people, I will be content. I really don’t do much outside of music!!! haha Outside of my solo career, I’m also a worship leader at a church in my area so I lead the worship band every weekend and am at the church pretty frequently. I’m also huge into yoga and meditation so I’m usually either playing music or stretching out on the mat! Probably Tori Kelly. She’s got a crazy range and I hope that I will have a similar path to success as her! I honestly haven’t given a thought to that….I’d be happy to do any show in the UK at this point!! I think the House of Blues in New Orleans would be an amazing venue to play at. I love the music scene there! I’ve had several songs that have meant something to me at different phases of my career but recently Sia’s song and video for “Chandelier” was really inspiring to me with the new music I’m writing. The song content, the production quality, and the artistic expression of it through the video and her performances really awakened my artistic side and reminded me that music is an art form and can be expressed in so many different ways. Learn some business skills! I think when I was a teenager, I was still holding on to the hope that someone would “discover” me but as I got older, I realized how infrequently that actually happens and one of the best things I did for myself was to get some business skills under my belt to learn how to market myself so that I can continue making music. Don’t let anything hold you back if you’re serious about your love for music. People don’t like to talk about it, but if you’ve spent any time in the music industry, you know that there will be countless failures before you reach any sort of success. Too many musicians get let down by a big failure and then call it quits. You WILL have failures. LOTS of failures. And then some more failure! Use those experiences to learn and grow. There’s always another open door somewhere and there’s no such thing as that one big chance to get your foot in the door. Make your own way and keep your head up! I have a couple and I actually have them tattooed on me. The first is a bible verse: “The Lord will fight for you; You need only to be still,” -Exodus 14:14 It’s just a reminder that I don’t have to try to force things to happen. If I do my part and let God do His part, He’s got my back. The other is simply “Live Free.” We have the freedom to be who we want in this world and I’m constantly working towards self-awareness. This entry was posted in interview, music, Uncategorized and tagged 23, FACEBOPOK, Interview, JAZZ, Music, PENNYSYVIANIA, PITTSBURGH, pop, social media, SoloArtist, SOUL, soundcloud, twitter, usa, WRITER, YOUNOW, youtube. Bookmark the permalink. NICK GREEN AND DAVE ROSSER HAVE FINALLY FOUND THEIR PLACE IN MUSIC AFTER USING DIFFERENT ALLIAS.ITS TIME TO INTRODUCE NICKY DAVEY A SOUFUL DUO, IVE HAD A CHAT WITH THEM! We are both 29 years old. Give us a little bio about you as a duo. In January of 2015, Nick was in the studio with his good friend Syd and the electronic Londoners, Snakehips. Together they wrote the song “Gone” at Syd’s house in LA. The track features Syd and has undeniably been a favorite of Snakehip’s devoted fan base. This led to Nick, the duo’s lead singer, getting asked to vocal produce and co-write on The Internet’s Ego Death. The alternative soul record features collaborations from Janelle Monáe, Vic Mensa, and Tyler, The Creator. Both members collaborated on the record that dropped last summer. It even reached as high as Number 9 on Billboard’s Top R&B/Hip Hop Albums chart. Ego Death is also nominated for a Grammy Award as Best Urban Contemporary Album in 2016. Most recently, the duo just finished a national fall tour as direct support for The Internet on the Ego Death Tour. They were out promoting their NICKY DAVEY – EP released on Noise Alchemy in August of 2015. Their single, “Been Lovin’ You” is featured on NOW 57: That’s What I Call Music! Currently, the two studio rats are back in their Hollywood studio and feverishly working on their next release. Give us a little Bio about you as individuals. Dave– I was born in a suburb of Chicago called Hinsdale, Illinois. I moved to Florida as a toddler. When I was 9 years old, I moved to Lincoln, Nebraska. As a kid, I was pretty much only into sports. I was a junior olympic gymnast and trained 6 days a week for almost four hours a day. I did that until I was 15. It was around that time that I got more serious about music and started my first band. NIck– I’ve been singing my whole life. I started writing poetry in high school and that led to crafting songs. Dave– I started playing guitar when I was 13 years old. I started playing gigs shortly after when I was a freshman in highschool. I moved to LA when I was 20 and have been playing professionally ever since. Nick– I knew that I wanted to do something with purpose. I wanted to reach people. Connect with something bigger then myself. Dave– When I was 12, I saw an older friend of mine playing Jimi Hendrix’s ‘Star Spangled Banner” and then move into ‘Under The Bridge” by the Red Hot Chili Peppers. Seeing those songs played up close on guitar made me wish I could do that. I was mesmerized by what I was hearing and seeing. I told myself, I have to be able to do that. I knew that’s what I wanted to do. As soon as I could play “Smells Like Teen Spirit”, I was addicted. From that point on, I knew I would be a musician. We are signed to an independent record label called Noise Alchemy. You released ‘ Been Lovin You ’Video , tell us more about the inspiration behind the song. We wrote Been Lovin You some years ago when I was working at Fred Segal in Santa Monica. I actually wrote the song at work. A couple years passed and we finally decided to put it out once we got the arrangement right. It’s just a fun and light song that puts you in a good mood the moment you press play! Well not in particular but there is a line in the song that says…” And then I asked you for your number, you only gave four. Girl I’m a play your guessing game but guess again if you don’t think I’m gon’ score. That is a true story! lol The girl only gave me four numbers and told me to guess the rest. HAHA! So,that being said… I didn’t score. We had the pleasure of working with our very talented friend, Rich Yodsukar. He directed and shot the video. Rich came up with the initial idea, and then we all kind of came together and brainstormed ideas for it. We essentially ended up telling a story of our daily lives as musicians in LA, and do it in a light-hearted way. Any new material being released soon? Single? We will be dropping our second EP in Spring. We might drop a single to promote it. However, we are still deciding on that. We are just really excited about it! This EP has so many different channels and colors to it. It takes you from being high on love, to tragedy and then back. Can’t wait for the world to hear it! Do you have any plans for an album? If so when and tell us more. We defnitley would love to release an album when the time is right. Nick – mainly programs our drums and adds some keyboard sprinkles here in there. Nick– Stevie Wonder, Michael Jackson, Prince, Chaka Khan, D Angelo, Erykah Badu, Lauryn Hill, Teddy Riley, Morris Day and the Time, Zapp and Roger, J Dilla, Outkast, Dr Dre, Dj Quick and the whole west coast 90s hip hop era. We are planning some tour dates in the Summer that are TBA. We are definitely heading through the west coast. if all the stars align, we hope to do some dates in the midwest and east coast as well. Inspiration is one of those really mysterious things. Sometimes our cup is so full of it and everything sounds so good. Other days, we feel like we forgot how to write a song and are constantly second guessing ourselves. That’s the beauty in inspiration. It’s how you choose to see or find it. When we need a spark, we usually try to find a sound or chord that creates its own vibe. Sometimes it could be a single word or picture that brings music to your head. We also believe getting outside of the studio and taking a look at what’s around you can really help as well. Inspiration is all around us. You just have to be in the right place to find it. The cliché thing to say would be to take over the world. Which, I guess could have its uses if we did something positive with that power? Haha. I’d like to think we are still making and playing the music we love to even more fans all across the world. Maybe we have our own Grammy win under our belt? Dave- I’m a huge sports fan. So whenever I can watch the Chicago Bulls or Nebraska Cornhuskers, that’s pretty much a perfect day to me. I also like to frequent our local Farmer’s Market and chill. Man, that’s a really tough question. If we absolutely had to pick, I think we would both say Mark Ronson. Man, again…very tough. I think making a record with PRINCE could be pretty special. If we ever got to play Wembley Stadium, I have a feeling that would be pretty epic. Glastonbury would be amazing as well. I mean, Madison Square Garden and Coachella sound pretty nice. Nick– when I heard Nothing Even Matters by Lauren Hill and D Angelo is when I truly fell in love with music. Still to this day I listen with chills. Dave– As a kid, I was really into the Breakfast Club movie. To this day, “Don’t You (Forget About Me)” by Simple Minds just brings back this sense of nostalgia to me. There’s a lot of hope in that song, even after love fails. That hope is powerful when you put it in a song. You can rely on it, whenever you need it. I loved it as a kid and still do now. There’s just some sort of magic in that song. Yous have been nominated for a Grammy, was there any inspiration from that on any new tracks? Nick– Yes. Definitely. I think that being acknowledged by our community is a very special thing. It’s the academy awards for musicians. That being said, I feel like it pushed us to work even harder. The song writing and production have gone into worlds I could never recreate. I think that’s what making music is all about. On Ego Death Syd, Matt and I talked a lot about letting the spirit Live in the song! I have to say every song on the new EP has its own identifiable spirit. Dave– First off, being part of a grammy nominated record is simply an honor. Secondly, it just makes you want to work even harder. It definitely fuels your creativity to make high quality art, but with that comes very high expectations for the new records we’re making. What was it like to get the phonecall to say you was nominated? Nick– My friend Taz Arnold who is a producer on the Kendrick Lamar To pimp a butterfly album called me up at six in the morning talkin bout we Grammy nominated! I said we? He said yeah we!! I hung up the phone and started crying happy tears while I called my mom to let her know we did it!! Nick– it seems cliche but my coach once told me that great work ethics create greatness. Dave– My Dad always told me that Inspiration is divine. It can go away if you don’t jot it down or record it. When I first moved to LA, my Dad sent me a little pocket recorder with a mini-cassette tape in it to record my ideas when they came . This was before phones were any good. I started making a habit of it. Now I record something instantly when an idea comes to my head. It’s definitely been helpful as a musician. To stay true to yourself and your art. Most of all, just keep going. It’s easy to let a lot of opinions get in your head and scramble you up a bit. If you feel that happening, step back and make some hard decisions. You might have to cut ties with people that are supposedly helping you, but in reality are stripping you from your core values as a musician. There is no right way to do anything in the music business. You will make mistakes, but so does everyone else. The only person carving your path at the end of the day is you. So, you can’t just depend on someone giving you a plethora of empty promises. Dave– “There ain’t no fish in the goddamn trees!” -My Grampa told me this as a kid. It always makes me double check that I’m searching in the right places in life. This entry was posted in interview, music, Uncategorized and tagged Band, dave rosser, Ep, facebook, grammy, Interview, Music, nick green, nickydavey, niminated, Rock, SINGLE, social media, songwriter, SOUL, soundcloud, twitter, usa, whats next, youtube. Bookmark the permalink. THE UPDRAFT IMPERATIVE MADE UP OF; JOSH KERR, MURRAY SIDDANS,IAIN BROADLEY AND DANNY RAGLESS WITH THEIR GROOVE ROCK GENRE WHICH DEFINITELY SHINES STRAIGHT THROUGH THIS LATEST SINGLE. Starting off you hear the heavy hits of the drum and smooth guitar which really gets you in the feel of the song straight away. Josh’s vocals are so smooth and silvery and makes you relaxed and just be in your room or with your friends and just listen to it again again but at the same time get up and have a dance because the instrumental you hear the groove side and its musical magic. With that being said you can still hear a meaning behind the track personally so to say which when you listen carefully ( when your not grooving 😉 ) its telling a story of the lads past which makes it so original. FOLLOW THE LADS ON SOCIAL MEDIA FOR UPDATES! This entry was posted in Review, Uncategorized and tagged facebook, groove, NEW, pieces of my past, Review, Rock, twitter, youtube. Bookmark the permalink. Again Meresha release another beautiful and meaningful track that has great memorable melody that just carries you through the song naturally. The instrumental is very creative and powerful and with Meresha’s vocals coming through creates a original and creative song and complements the vocals. This entry was posted in Review, Uncategorized and tagged MERESHA, Music, MY LOVE HAS COME, NEW, NEWMUS, Review, soundcloud. Bookmark the permalink. REVIEW: ROBYN REGAN RELEASED HER LATEST EP ‘ THIS LOVE’ BACK IN JANUARY BUT I STILL LOVE IT NOW! Robyn Regan has been in TV but decided its the music she loves more! This Love EP is 5 tracks of well written and sang songs that you will always want to listen too! Track 1 is the title of the whole EP ‘ This Love’ a heavy drum beat with claps and vocals come straight through giving you the true honesty of the track when Robyn sings. When you listen to the lyrics you feel them, they are so honest and you can hear this though the vocals and its very sweet. Track 2 ‘ Dream’ says a lot in the title here I think here, still wanting to work on her dreams from when she was a ‘Little Girl’, ‘Wanting to be a Princess’ but now being ‘older and wiser’ being a princess is not her dream but the song still represents all her other dreams. The instrumental of this tracks just fits with the theme of Dreams and thats great to have because you can really relate and understand. Track 3 ‘ Home’ has a solid beat which just lets you really engage with the song and carries you along, this sounds so much more personal than any of the other songs on the EP being about her dad in a ‘Foreign Country’ and I think writing a song with such strong lyrics/meaning helps Robyn and will help a lot of other people going through the same situation. Track 4 ‘Separate Ways’ about heartbreak, liking or even falling in love with someone who you was once with is always hard going our ‘Separate Ways’ and I think Robyn writing this track tells you that it can be a good thing going our separate ways and it is because there will be someone out there who treats you the way you should be. Track 5 ‘ Oh I’ The vocal melody is very interesting and original which is great to hear in a song.Robyn’s vocals are very consistent throughout the whole song which is great in a track because it makes you want to re-listen to it also her vocals are silvery which is pleasant to listen to! All 5 songs are brilliant but I do have to say ‘Home’ is my favourite such a powerful message and emotion in the track which a lot of people are going through and this song could really help a lot. This entry was posted in music, Review, Uncategorized and tagged 5 TRACKS, facebook, itunes, Music, newmusic, Review, RobynLouRegan, SOCIALMEDIA, spotify, streaming, thislove, twitter. Bookmark the permalink.